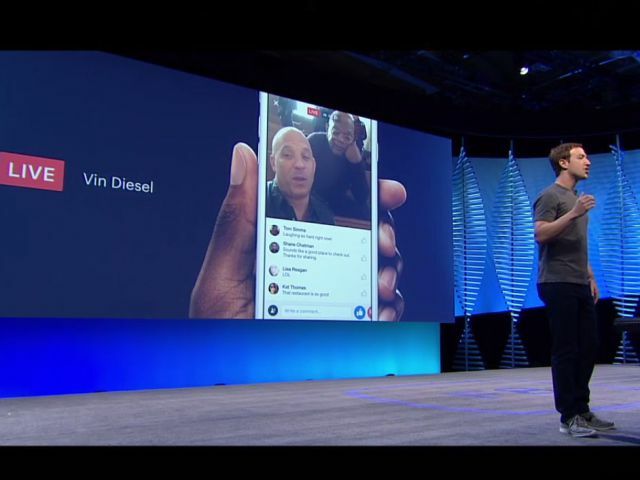 Facebook has been pushing live video into users feeds, and streams from publishers and celebrities have been getting hundreds of thousands of concurrent viewers and tens of millions of total views. Now, Facebook is making it a lot easier to watch and make live video. Remember how there used to be a Messenger button at the bottom of your screen, which showed up when Facebook was jump-starting its messaging service? Well, now a live video tab is going to replace it. When you click on it, you’ll see a menu of live video. You can scroll through real-time broadcasts from around the world, as well as the ones your friends are making. Once you’re in the live video library, you can choose topics you want to follow (e.g. cooking or science). Facebook can then alert you when users broadcast live video about your favorite topics. You can now stream within private groups. So if you only want to broadcast to your family, for example, you can set those parameters. Viewers of live broadcasts can invite others on Facebook to come watch the same video. If you’re invited to watch a video, you receive a push notification. You can add a video filter to your broadcast. There’s a live video map that shows you where in the world people are broadcasting from. She’s not wrong – there should be traction, since Facebook is telling people, both implicitly and explicitly that they should be making and watching live video. We’ve seen this before, most recently when Facebook pushed autoplay video into people’s feeds, then announced that lots of people were watching autoplay video. People at Periscope are paying close attention to Facebook’s update since they already offers a lot of these features, including the live map and floating reactions – uh, oh.